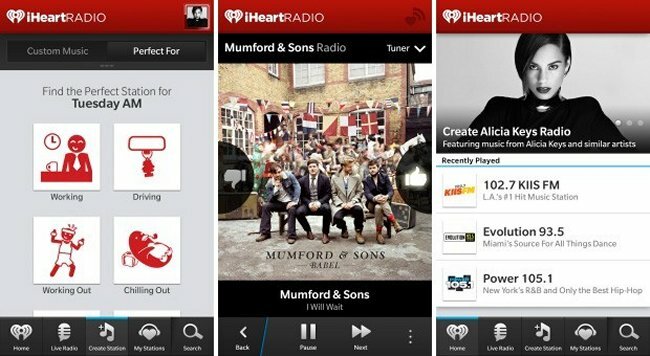 Just because you have a brand-new BlackBerry, that doesn’t mean you have to miss out on iHeartRadio. Clear Channel has released the streaming app for BlackBerry 10 devices. The rumors have been swirling around for awhile that the company was working on a native app for the platform and it has finally arrived. It is available for download right now in BlackBerry World. Music lovers will like the fact that it is pretty much the same as other versions for other platforms, giving you features like Perfect For mood matching as well as the usual choices of live and customized stations. As long as you live in a US territory, you can download the BB10 edition now. It’s too bad about the region restriction, but what can you do?